Holiday music and movies The excitement of opening presents and gathering around tables laden with food is enhanced by appropriate holiday music. The iTunes Store has just that kind of music on sale now. While you’re browsing the bargain bin, be sure to check out the Store’s Movies Under $10. The holiday classic, It’s a Wonderful Life, is going for just $5. Gift certificates While you’re at the Store, be sure to click the iTunes Gifts link. As you’re surely aware, you can purchase iTunes gift certificates in email or printable form, gift specific music, TV shows, and movies (like that copy of It’s a Wonderful Life); and provide someone with the gift that keeps on giving in the form of an iTunes allowance. But iTunes isn’t the only game in town. The music sold by Amazon MP3 plays perfectly well on any MP3 player (including an iPod, iPhone, or computer) and that music is often priced lower than what iTunes offers. You can email or print a gift card or send one by mail by visiting Amazon’s Gift Cards page. And if your favorite recipient doesn’t care for music, no worries, they can apply that gift card to any purchase they like. 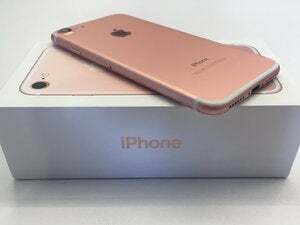 As my colleague, Philip Michaels, mentioned yesterday, you can help give your loved one a leg-up on an iPhone purchase with Apple’s iPhone 3G Gift Card, available in denominations from $25 to $2,500. Cables and adapters While the aisles of the local Hobos ‘r’ Us may be packed, it’s likely the Radio Shack next door will be more sparsely peopled. Within this Radio Shack you’ll find a wall-full of cable and adapters that your electronics-loving snookums will eventually appreciate. Gather together a bundle of cables and adapters and tie them together with a bow. I’d include an audio Y-cable with a stereo miniplug on one end and two RCA connectors on the other, a headphone extension cable (male stereo miniplug on one end and female stereo miniplug on the other), a headphone splitter (stereo miniplug on one end, two stereo female miniplugs on the other), and a longish cable with male stereo miniplugs on each end. On the adapter front, I find it helpful to have a male stereo miniplug to female stereo quarter-inch adapter in my kit for those times when I need to plug my over-the-ear headphones into an iPod or iPhone (the opposite connector—female stereo miniplug to stereo male quarter-inch connector—is nice to have too). It’s just as useful to have an RCA to stereo male miniplug adapter for making quick connections between an iPod or iPhone and my home stereo. Note that Radio Shack prominently features Monster brand cables. They're great cables, but not the best choice if you’re on a budget as they’re pricey. To avoid breaking your budget, seek out the Radio Shack-branded cables and adapters tucked away on one of the store aisles or back walls. Batteries Gear-heads are just grown up kids, and because they are, they have an insatiable need for batteries. Rather than pick up that 50-pack of AAs at Costco, go greener by purchasing rechargeable batteries. Many include a charger and some can accommodate both AA and AAA batteries. Memory cards Most homes have at least one digital camera in residence. And those cameras like nothing better than a steady diet of memory cards. (Some media players, camcorders, HD TVs, and digital photo frames like them too.) Finding these things no longer requires a trip to the local electronic boutique. Many supermarkets and mega-pharmacy carry memory cards much like they once carried film. Before purchasing be sure to find out exactly the variety of card the target device requires—Compact Flash, SD, or Memory Stick. Tools If you know where your nearest and dearest keeps his or her tools, rummage around and see if they have a set of computer tools—Torx and Phillips screwdrivers, pry tools, and tweezers. Newer Technology offers its 11 Piece Portable Toolkit for $20. It includes the tools any geek would be proud to own. Though its too late to have it shipped to you, Newer lists stores that sell the kit. Oh, and if that geek giftee is inexplicably without a Swiss Army Knife (crazy, I know, but maybe they had to give it up while passing through airport security), it’s well past time they had one. Software Okay, so games aren’t digital media in that “music, video, and images” kind of way. Regardless, they provide a terrific diversion, particularly when you’re snowed in. Nothing helps quell the rumblings of a serious budget-constraint like free. MacHeist, care of its Mac Giving Tree, is giving away copies of Pangea Software’s puzzle game, Enigmo 2 as well as Wincent’s iTunes extending application, Synergy (registration required). And, while not free, Ambrosia Software’s offering six of its way-cool Mac games (Apeiron X, Reline, Bubble Trouble X, Darwinia, SketchFighter, and Aki Mahjong Solitaire) for just $19 in its 15th Anniversary Holiday Bundle. Care to give a gift to me and your fellow Macworld readers? Drop a last-minute gift suggestion of your own in the Comments area below.